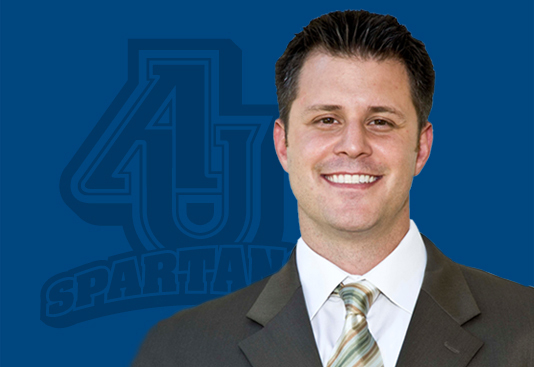 AURORA, Ill. – Aurora University today announced that James Hamad, currently Associate Director of Athletics for Student Development at Pepperdine University in Malibu, Calif., has been named its new Athletic Director. Hamad will join the university in late February. Hamad has held a number of leadership positions in Division I collegiate athletics over the past decade, including roles at the University of Pittsburgh and the University of Akron, directing initiatives that improve student performance in the classroom and on the playing field. At Pepperdine, he revamped the academic support system for the athletics program, which has led to the highest graduation success rate among southern California Division I institutions, and has been part of an athletics administration that won 17 conference championships. Hamad has been involved with the National Football League–N4A Advisory Committee, which creates degree-completion opportunities for collegiate non-graduates who have pursued a professional sports career. He also serves on the N4A Finance Committee, which directs the resources of the association. Hamad received a bachelor’s degree from Kent State University and a master’s degree from the University of Akron. Hamad succeeds Mark Walsh, who retired this summer and was granted the status of Athletic Director Emeritus. Shaun Neitzel, who has served as Interim Athletic Director since last August, has been named Dean of Student Life for the university. In this new role, Neitzel will oversee student life, student organizations and residence life. Additionally, Lane Stahl, currently Assistant Baseball Coach, will be promoted to Head Baseball Coach for the university. To schedule an interview with James Hamad, please contact Steve McFarland, Vice President for University Communications, at 630.844.5496 or smcfarla@aurora.edu. Aurora University is an inclusive community dedicated to the transformative power of learning, annually educating more than 4,300 degree-seeking students at the bachelor’s, master’s and doctoral levels. More than 600 students annually participate in the university’s 20 NCAA Division III athletics programs. In addition to its main campus in Aurora, Ill., AU offers programs online, at its George Williams College campus in Williams Bay, Wis., and the Woodstock Center in downtown Woodstock, Ill. Learn more at aurora.edu.